Created in 2011, Innovation Alzheimer (IA) is a general purpose association (French law 1901) whose main scope is to put innovation at the service of the users, in particular of persons with Alzheimer’s disease and related disorders and persons with neurophychiatric symptoms. IA includes psychologists, medical doctors, engineers and researchers. Based on the close interaction between clinical and research work, IA has the ideal structure to develop and clinically validate innovative solutions. 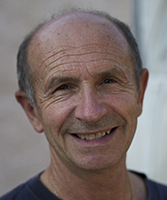 IA helps and supports the CoBTeK research team (Cognition Behavior Technologies) of the University of Nice Sophia-Antipolis and the CMRR (Centre Mémoire de Ressources et de Recherche) of the CHU of Nice, directed by Prof. Philippe Robert. IA is a no-profit association. IA is located at the Institut Claude Pompidou in Nice, France. Philippe Robert is professor of Psychiatry at the Nice School of Medicine, Director of the Nice Memory Centre for Care and Research (CMRR), Director of the Cognition, Behaviour & Technology Unit (CoBTeK) at the Nice-Sophia Antipolis, and coordinator of the French National Alzheimer data bank. His domains of expertise include behavioural and psychological symptoms of dementia, apathy assessment and treatment, and the use of new technologies for diagnosis and stimulation in elderly people. 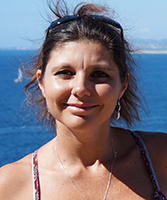 Valeria Manera is a postdoctoral fellow at the CoBTeK unit of the University of Nice-Sophia Antipolis (France). She has a Master degree in Clinical Psychology and a PhD in Cognitive Science. She spent long research periods at the University of Leuven (Belgium) and at the Stanford Psychophysiology Laboratory (California). Her domains of expertise include biological motion perception, emotion recognition and regulation, and dementia prevention. 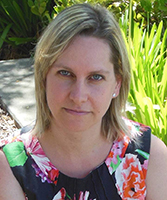 She is researcher in the French team of the In-MINDD project. 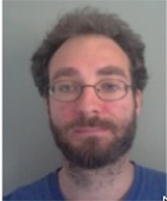 Jérémy Bourgeois is a psychologist specialized in neuropsychology in the CoBTeK unit at the Nice-Sophia Antipolis University and at the Nice Memory Centre for Care and Research (CMRR). He has two Master degrees in Psychological Research and in Neuropsychology, and a PhD in Psychology. He also works with brain damaged patients in his private practice. His domains of expertise include visual perception, cognitive rehabilitation, the use of new technologies for diagnosis, rehabilitation and stimulation, and dementia prevention. 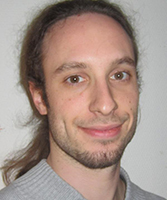 He is researcher in the French team of the In-MINDD project. Elsa LEONE is a psychologist specialized in neuropsychology at the Nice Memory Centre for Care and Research (CMRR) and in the CoBTeK unit at the Nice-Sophia Antipolis University. She has a Master degree in Neuropsychology, and a PhD in Psychology. Her domains of expertise include behavioral and psychological symptoms in Alzheimer’s Dementia and related diseases, non pharmacological treatments, individualized care for patients with dementia, and the use of new technologies for diagnosis, rehabilitation and stimulation in elderly people. Vincent Robert graduate of the school of photography EFET, he worked in Paris. 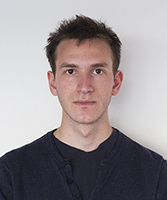 In the MeMo team he is in charge of the management of images and the website. He is a member of the Agency Hans Lucas as the artist photographer and video maker.